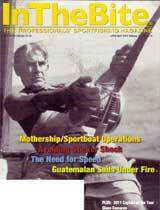 As he had done hundreds, if not thousands, of times, Capt. 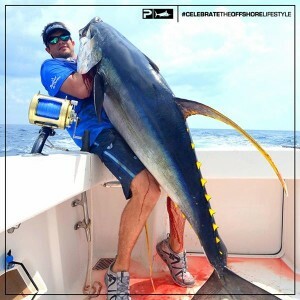 Brett Holden sent down a squid on a 50-wide reel and said, “I bet we get bit in less than 30 seconds.” The weight hit the bottom, and as soon as he cranked the bait off the bottom, the highly anticipated tap-tap of a swordfish ­whacking the bait was already there. 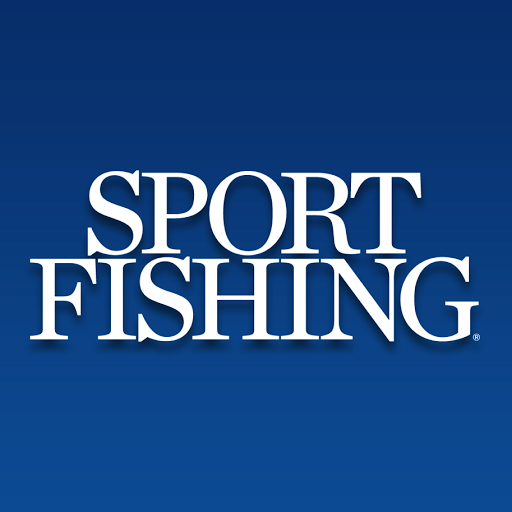 He teased the fish with a series of drop-backs and quick cranks, and the rod tip nearly hit the water when it bent under the load as the fish was hooked. 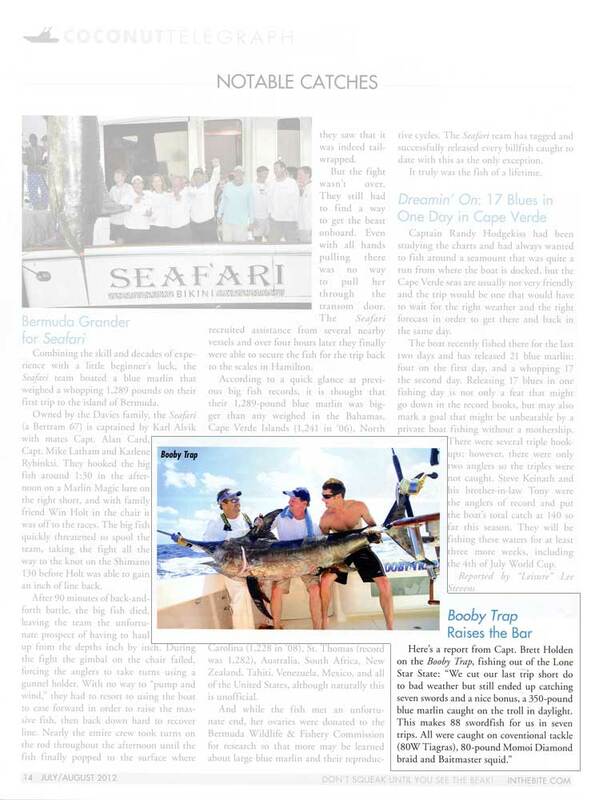 Stay tuned for an upcoming feature in the October 2015 issue of Marlin of senior editor Andrew Cox’s trip with Capt. 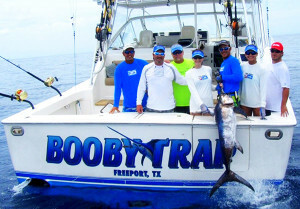 Brett Holden and the crew aboard the Booby Trap in May where they fell just short of the 1,000 mark. 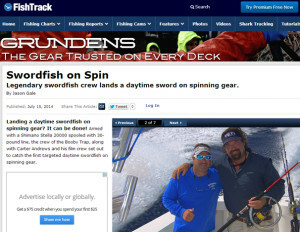 Legendary swordfish crew lands a daytime sword on spinning gear. 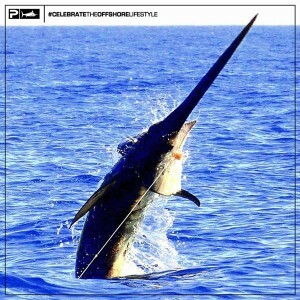 Witness the drone footage while swordfishing! 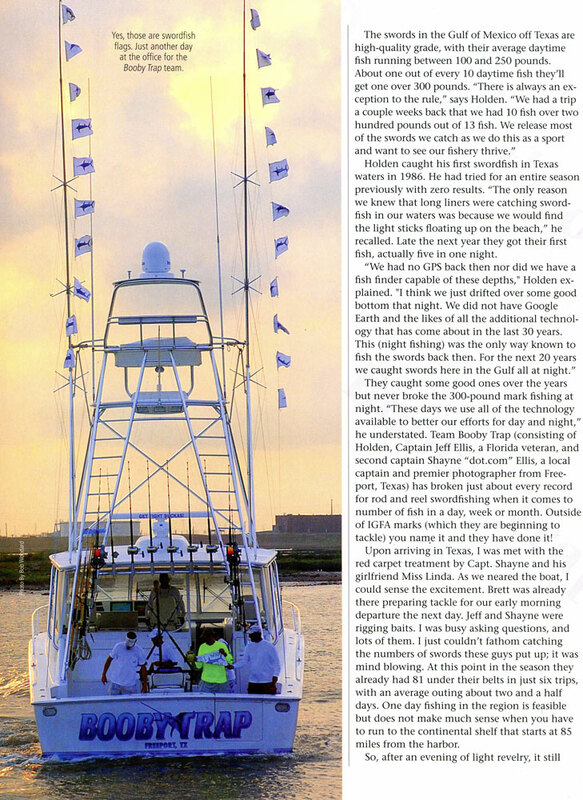 You’ll get a Texas sized dose of it here as the Booby Trap team provides a bird’s eye view during a recent trip out of Galveston. 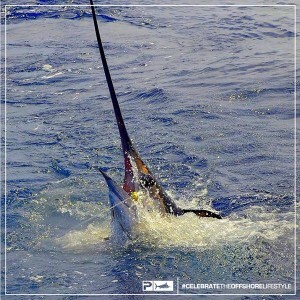 The short video is filled with swordfish, marlin, squid and flying fish action that puts you in the pit night and day with the crew. 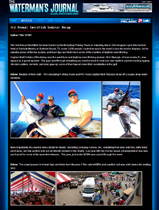 We receive hundreds of emails each year threw our website and fishing forums from around the globe about Swordfishing. 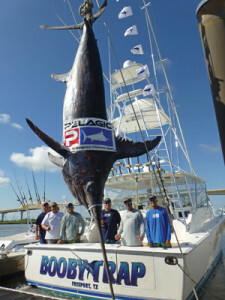 This is one we just received from some of our Louisiana friends that are dialed in on the daytime swordfish for sure. 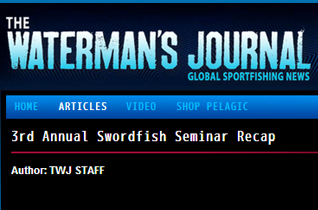 Weare always looking forward to getting these super cool reports. 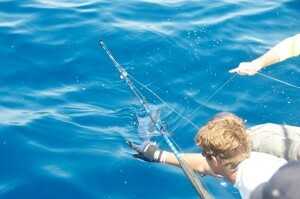 This is what makes it all worth while! 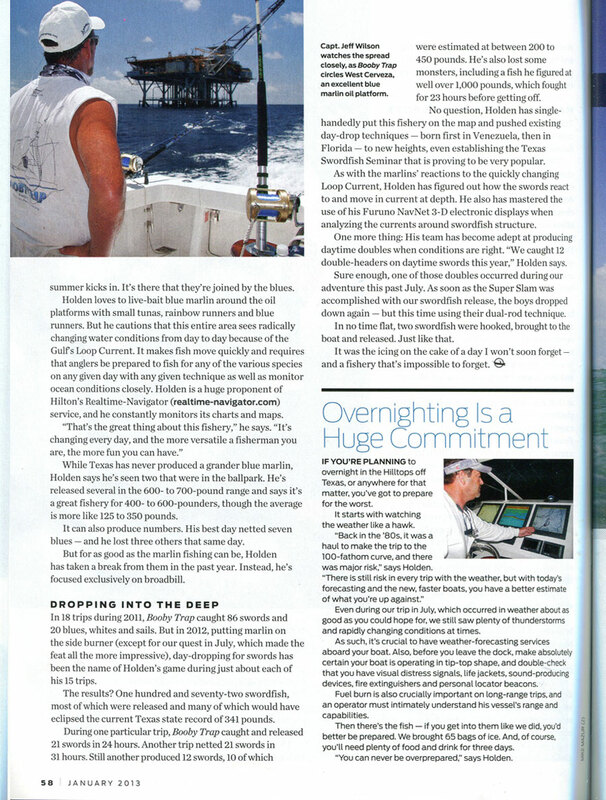 Thanks Thomas and Crew for the kind words! 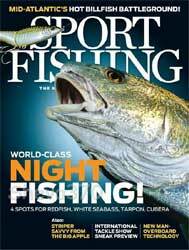 Get Tight Suckas! 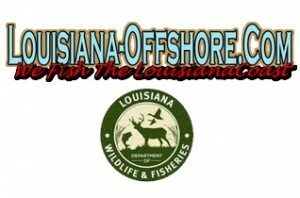 I would like to thank the Booby Trap Fishing Team and all of those who supported the Texas Swordfishing Seminar this year for providing us with the tools necessary to catch our first two Louisiana swordfish. 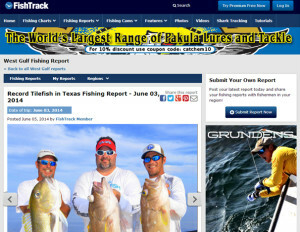 After reading and researching many articles and reports on daytime swordfishing combined with several failed attempts, the decision was made to attend the Texas Swordfishing Seminar. Without a doubt, the seminar made it possible for us to catch a daytime swordfish and I highly recommend the experience to anyone looking to “Get Tight!” with a sword. 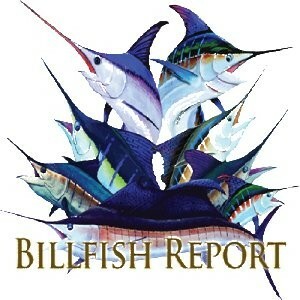 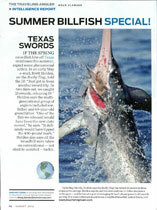 Both swordfish were caught on back to back fishing trips aboard the “Knight Life” based out of Cypremort Point, LA. 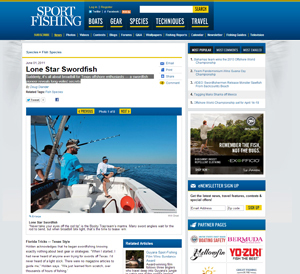 The larger sword was the first on the boat caught by angler Nicholas Knight on June 7, 2014 and the second fish was caught by angler Jake Onebane on July 11, 2014. 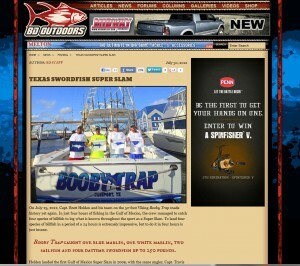 Again, many thanks to the Booby Trap Fishing Team and the Texas Swordfishing Seminar for making this dream a reality. 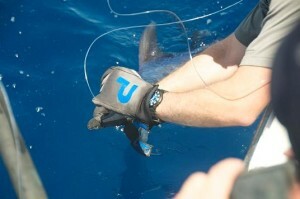 The Shimano Stella is a beast! 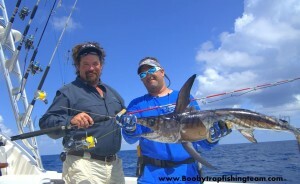 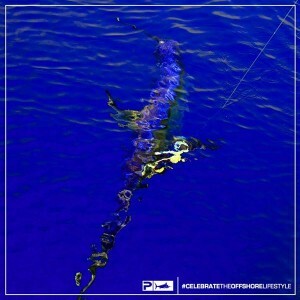 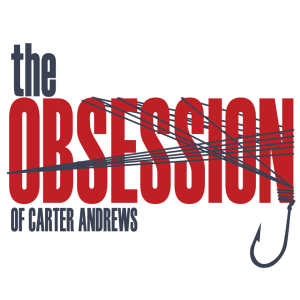 Check out this link for more photos and info on the trip!http://2coolfishing.com/ttmbforum/showthread.php?t=1059210 The first ever daytime swordfish caught on spinning tackle and filmed on the Booby Trap during the TV show “The Obsession of Carter Andrews”! 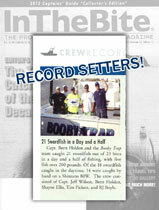 Articles and photos with Booby Trap Fishing Team on pages 6,12,20,35 and 37. 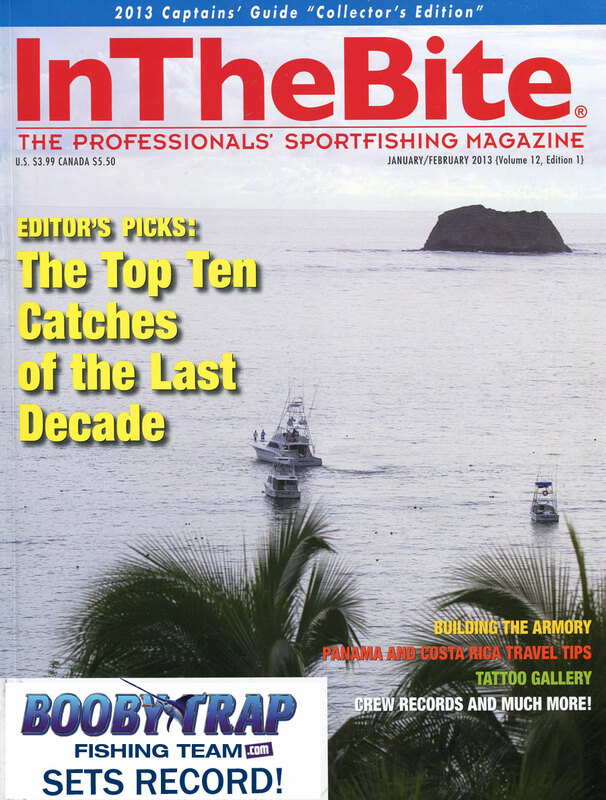 Get your copy of this month’s IntheBite Magazine to read more! 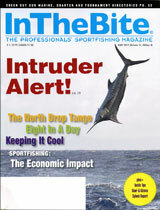 To subscribe to InTheBite Magazine visit the link below. 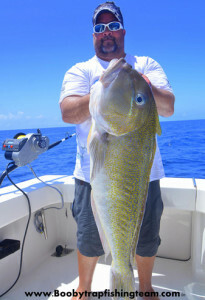 Mikey Parsons caught the new unrestricted gear Tilefish Texas State Record while fishing with us on our 52′ Viking express “Booby Trap”. 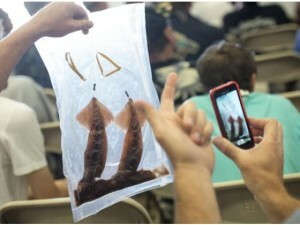 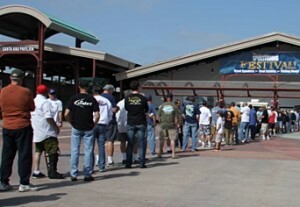 Texas Swordfish Seminar Educates Anglers and Raises Money for Veterans. 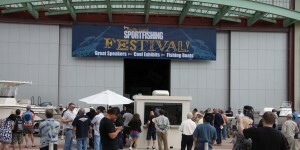 The annual Texas event continues to expand and attract a large following. 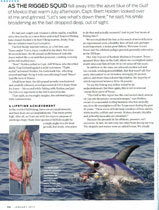 A swordfish seminar in Texas that has become an annual event and grown to surprising proportions this year raised more than $400,000 for Everyday Heroes, an organization dedicated to helping military vets get wheelchairs and other devices essential to them…click on the link below to read Sport Fishing Magazine’s full article! 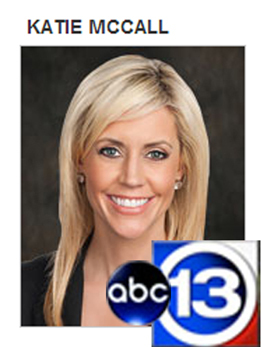 Each year, two key numbers keep growing out of the Texas port of Surfside Beach. 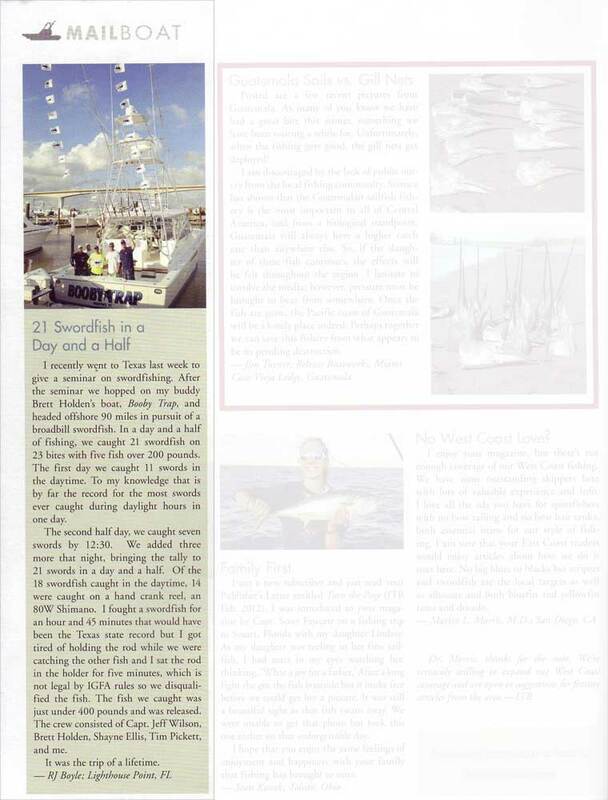 The first one is the number of both day and nighttime swordfish that are caught by the world-class crew aboard the Booby Trap, captained by Brett Holden, Matt Reed, Jeff Wilson and Travis Joyce…Read Full article click on link below! 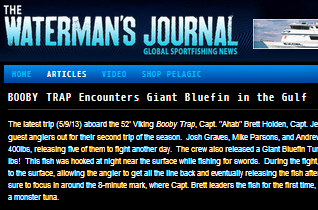 The Booby Trap is made up of Captains Brett Holden, Matt Reed, Jeff Wilson and Travis Joyce. 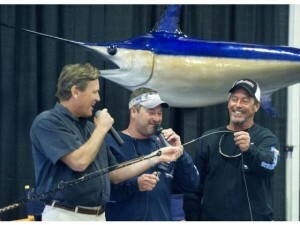 During the seminar hundreds of spectators listened as the team discussed every detail about how to catch swordfish and as Brett Holden proclaimed, “There are no secrets to what we do, we are here to disclose everything in the hopes that everyone who attended the seminar will have the opportunity to go out and catch one of the most remarkable fish in our oceans.” In the full day seminar, the Booby Trap team did just that in a relaxed environment with breakout sessions demonstrating rigging techniques, tackle tips and even one-one discussions with any Booby Trap team member. 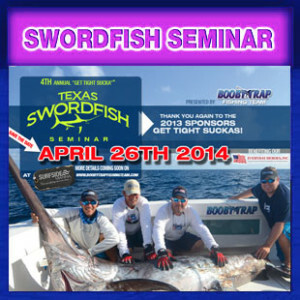 April 28, 2014 Seminar By: Dale Wills – The 2014 “Get Tight Sucka” Texas Swordfish Seminar held at Surfside Beach, Texas is in the books along with a significant donation of $400,000.00 into the US veterans organization of “Everyday Heroes Inc” accounting books. 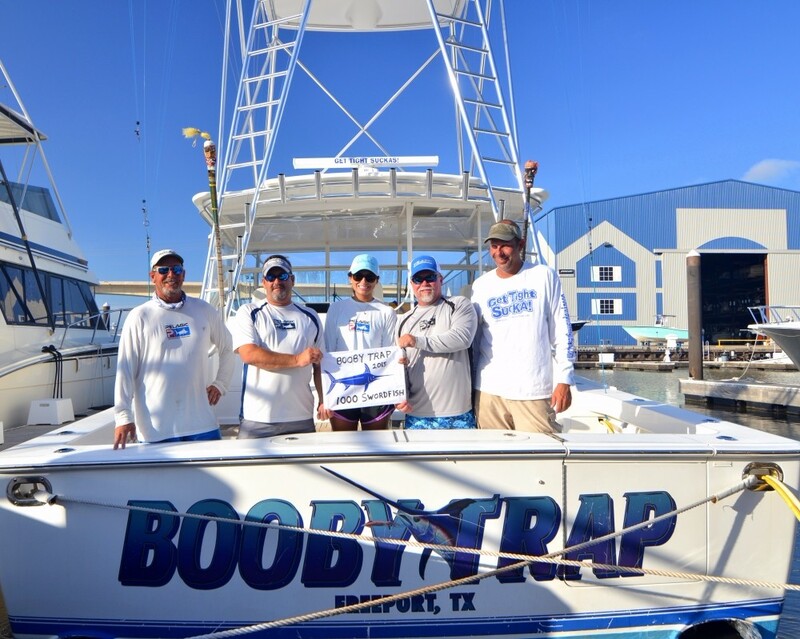 Surfside, Texas – Team Booby Trap took some time off from Swordfishing to raise money for Veterans through their Texas Swordfish Seminar. 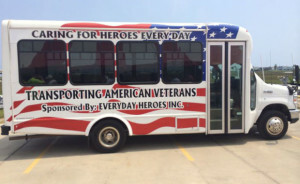 This was their 4th Annual and they raised an impressive $400,000 for Every Day Heroes who provide transportation to Veterans to and from VA Hospitals as well as other forms of transportation. 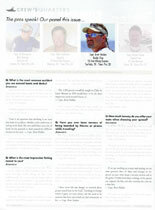 In their prior three (3) Seminars combined, they raised nearly $500,000, taking their total close to $900,000. We want to acknowledge their efforts and thank them for their hard work for our Veterans. 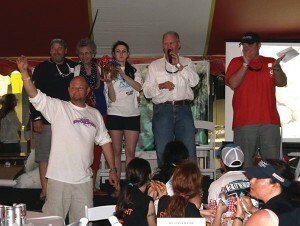 Anyone who has ever raised money before, knows what type of commitment it takes to put on the event. Congratulation to Capt. 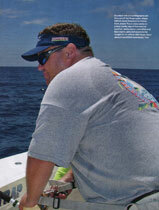 Brett Holden, Capt. 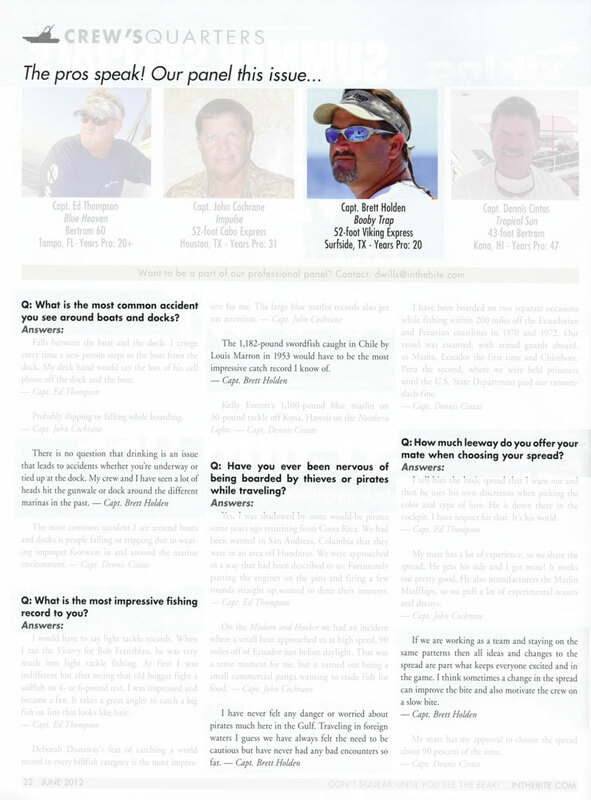 Jeff Wilson, Capt. Travis Joyce, Capt. 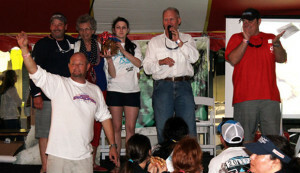 Matt Reed and the many others who were a part of this event. 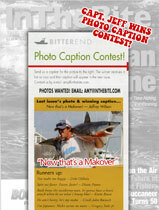 All of us on the Booby Trap would like to congratulate you on your fine catch! Get Tight Sucka! 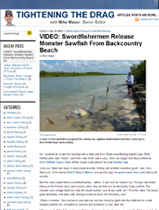 I’m glad that our swordfishing videos could help assist your fishing team. 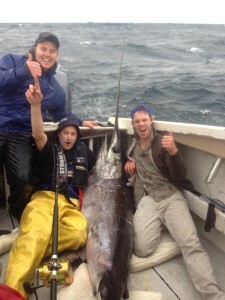 Catching the first ever targeted Daytime Swordfish in Tasmania is such an awesome accomplishment. 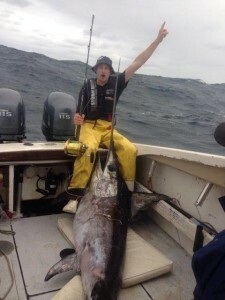 Looks like you had some competitive sea conditions as well! 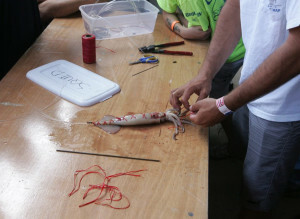 COSTA MESA – Anglers gathered this weekend at the Orange County Fairgrounds to check out the latest and greatest gear, tips and secrets for sportfishing in Southern California. 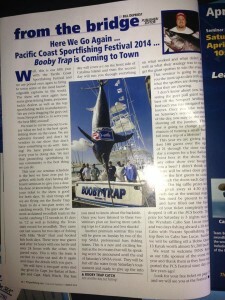 Booby Trap Fishing Team speaking at the Pacific Coast Sportfishing Event ! 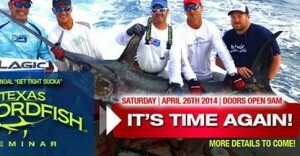 4th Annual “Get Tight Sucka!” Texas Swordfish Seminar Announced! 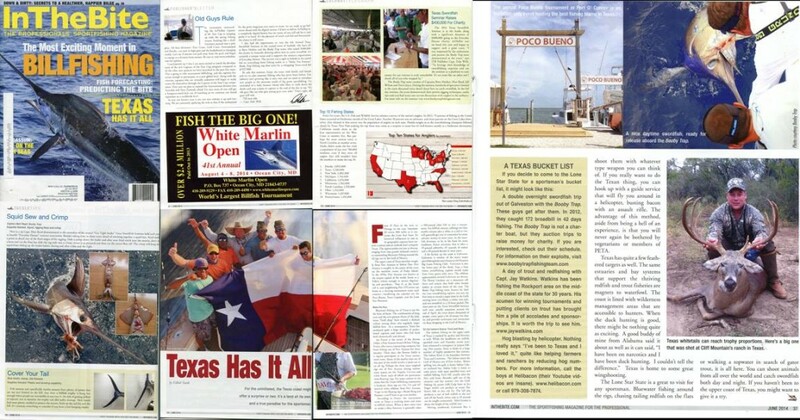 The Booby Trap Fishing Team, known worldwide for their daytime swordfishing success, has announced the details for their 4th Annual Texas Swordfish Seminar, which benefits the U.S. Veterans of “Everyday Heroes Inc.” The 2014 seminar takes place April 26th at the Surfside Marina, 827 Gulf Road, Surfside Beach, TX 77541, and starts at 9:00 a.m.
Can’t wait for this event! 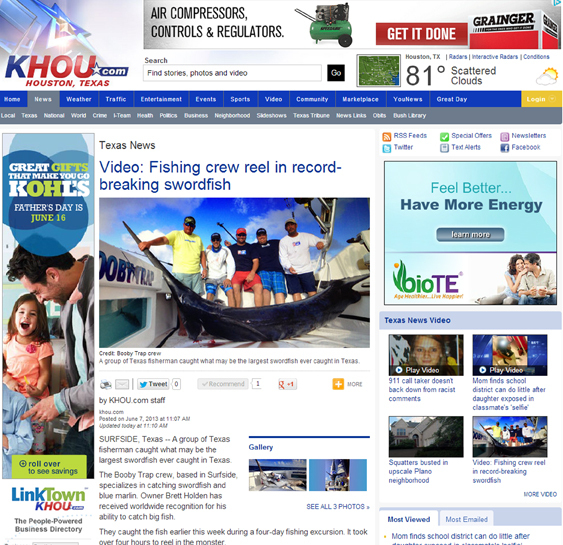 “Make You Famous” Swordfishing Adventure Trip. 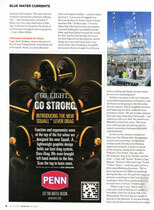 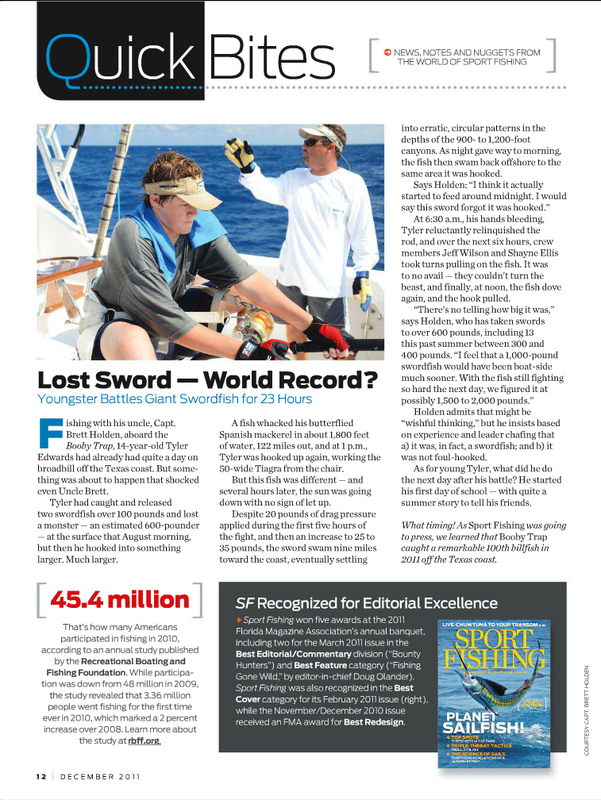 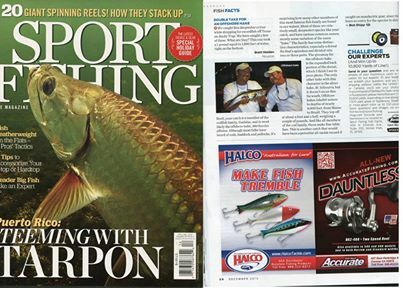 This January/February 2014 Issue of Pacific Coast Sportfishing Magazine pages 64-65 features, The Booby Trap Fishing Team in an article about the “Make You Famous” Swordfishing Adventure Trip. 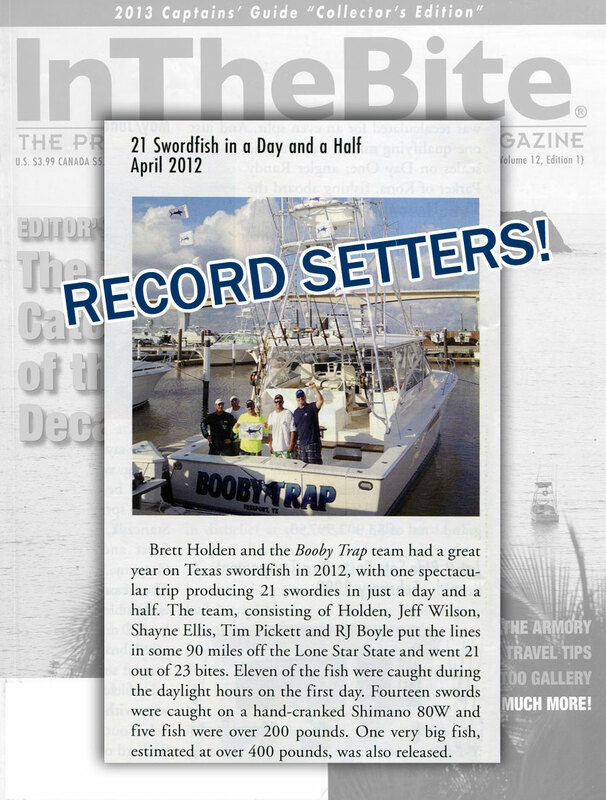 Each year The Booby Trap Fishing Team holds an annual Texas Swordfish Seminar benefiting The Everyday Heroes, Inc . Visit our website atwww.boobytrapfishingteam.com for upcoming details on the 2014 Get Tight Suckas Texas Swordfish Seminar . 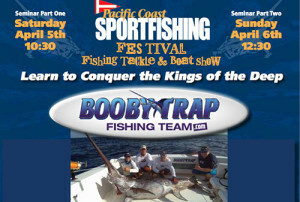 The date of the event will be posted soon!#boobytrapfishingteam #gettightsuckas — with Chelsey Lyn Holden. 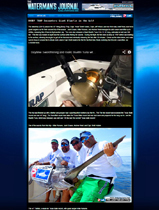 2014 Moonphase Calendar – Skipper’s Daughter Shows Off A Swordie She Caught! 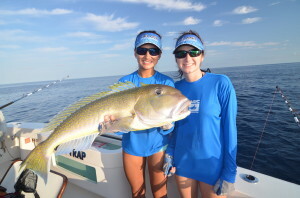 Booby Trap Fishing Team guest anglers’ Taylor Blair and Chelsey Holden land a spot on this year’s Moonphase Calender! 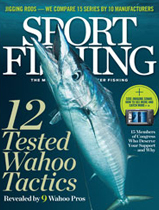 Get Tight Suckas! 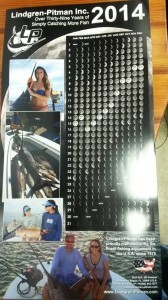 Thanks Lindgren-Pitman Inc.
Come and get’um 2014 Moonphase Calendar. 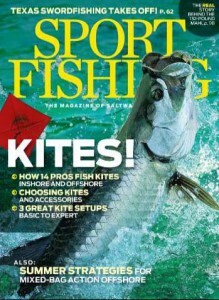 Congrats to all of the winners! 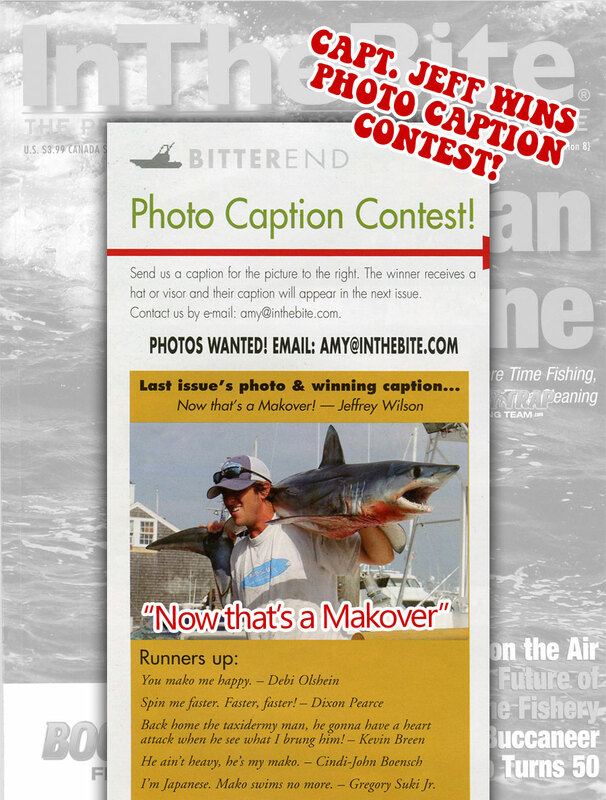 Thanks to all that submitted pictures, best year in terms of numbers of submissions yet, making the decision really tough. 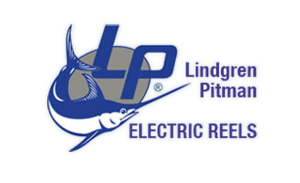 Stop on by or give us a call to get yours today! Join Us in 2014 at the Texas Swordfish Seminar to have a chance at the auction to grab a hold of a fishing trip of a life-time…”The Make You Famous Swordfishing Trip”! 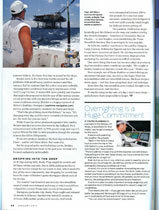 Check Out This Sept/October Issue of Gulf Coast Mariner Magazine! 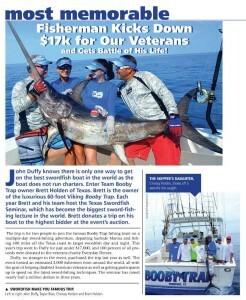 Brett Holden and Holden Roofing donated 2 trips benefiting disabled veterans of Every Day Heroes last March at the Texas Swordfish Seminar on the Booby Trap. 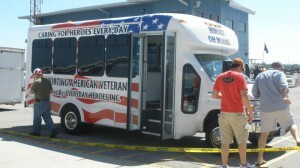 These two trips raised just under $35,000 for the Veterans. 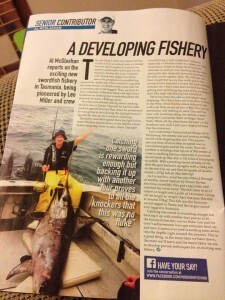 This was the third year in a row Holden Roofing donated trips and these trips have raised over 100,000 dollars for fundraisers. 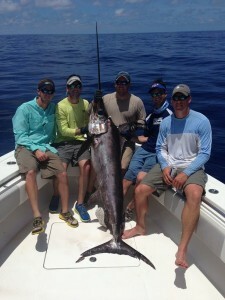 This trip was auctioned off and the high bidder was John Duffy for the second year in a row. John brought his daughter Taylor Blair along and what a great picture! 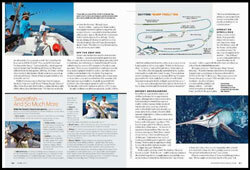 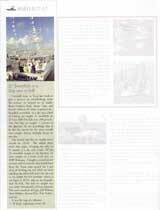 Here is one more magazine the trip has been published in! 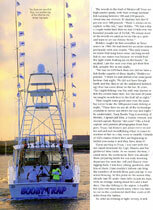 Thanks Gulf Coast Mariner Magazine for your support! 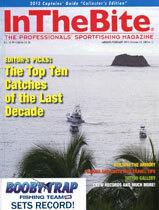 Check Out This August Issue of Pacific Coast SportFishing Magazine! 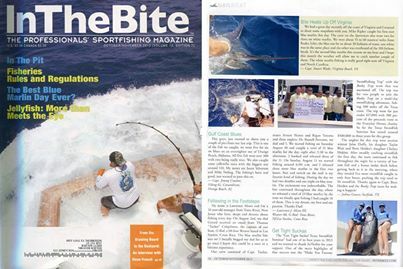 Check Out This July/August Issue of In The Bite SportFishing Magazine! 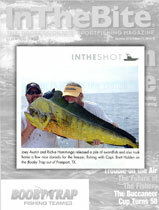 Photo (on right page-18) with Mike Parsons good friend, and guest angler with his Giant Tilefish! 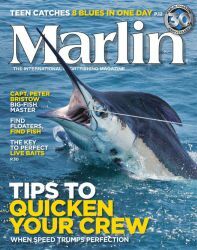 Check Out This Month’s Issue of Marlin Magazine! 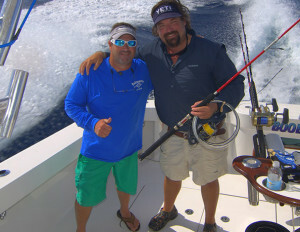 Photo (on right) with Booby Trap Boat and crew, with Record Catch 30 Swords in Three Days! 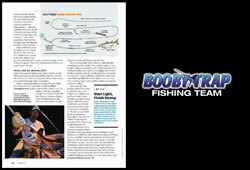 Want to Experience Fishing on The Booby Trap? 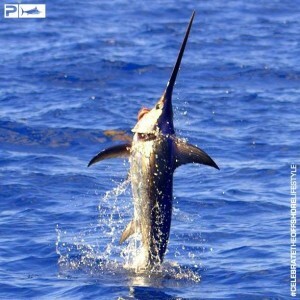 Click the links below to experience the whole trip catching 30 Swordfish with Capt. 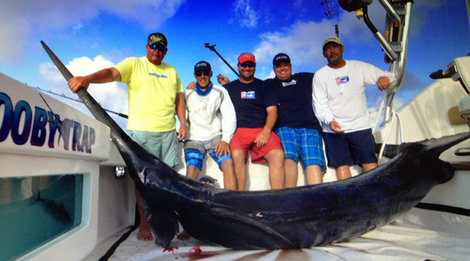 Ahab and crew with special guest angler Capt. 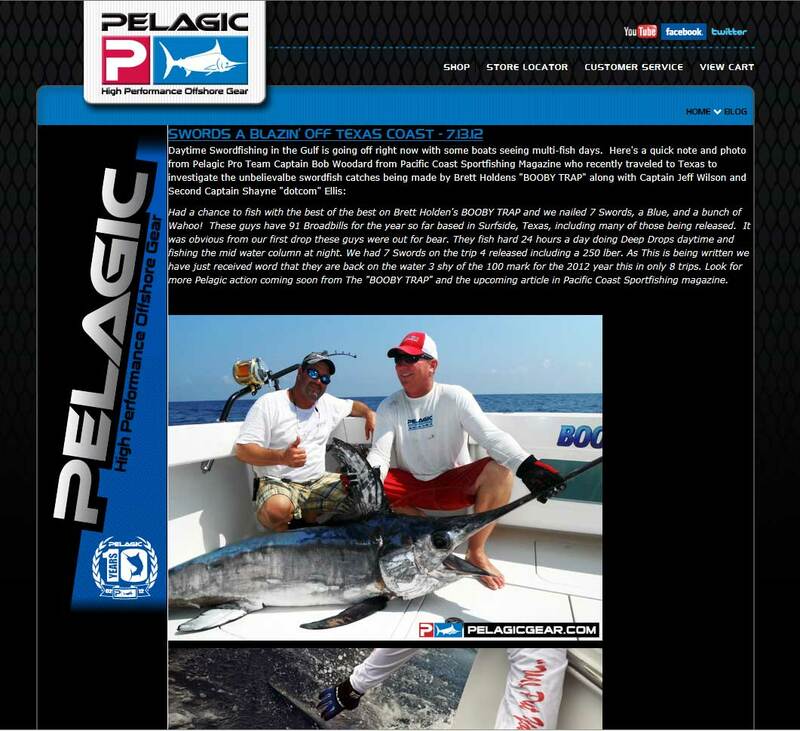 Nick Stanczyk from the famous Bud N’ Marys Florida fishing crew! 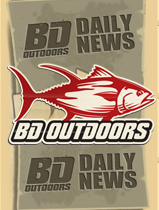 Also don’t forget to subscribe to our Youtube Channel to get instant notifications to your email, every time we upload a new video! 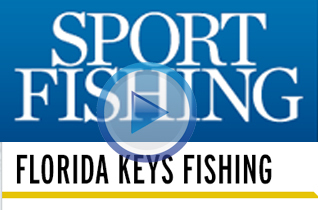 Please post comments on our videos we would love to know what you think! 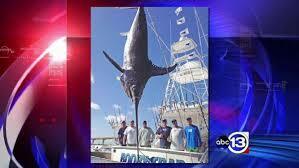 Fishermen reel in massive swordfish, expected to be biggest ever in Texas! 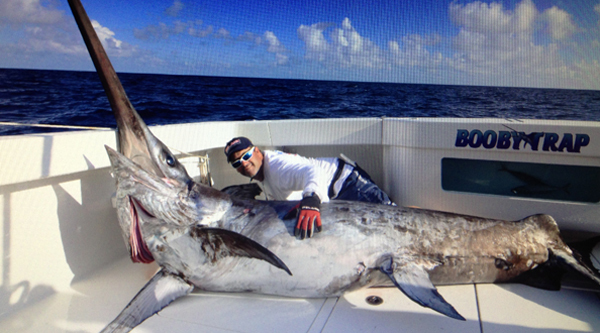 It could be a new Texas state record — a massive fish weighing in at nearly 500 pounds was pulled out of the Gulf of Mexico this week. 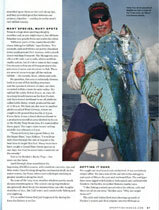 Fishermen are known for telling stories that are sometimes larger than life. 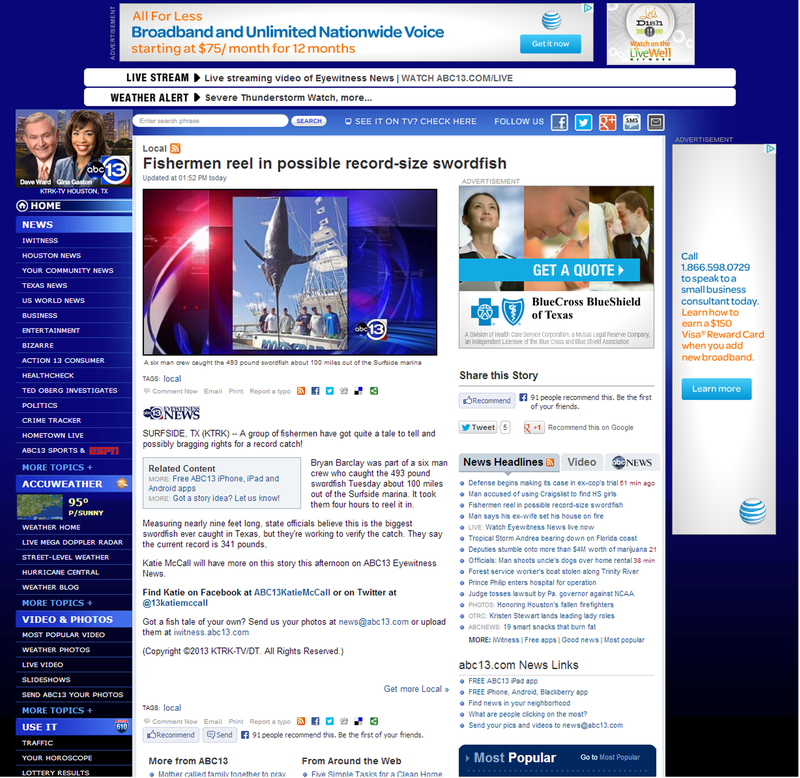 But what this crew reeled in was really big — a nearly 500 pound swordfish. 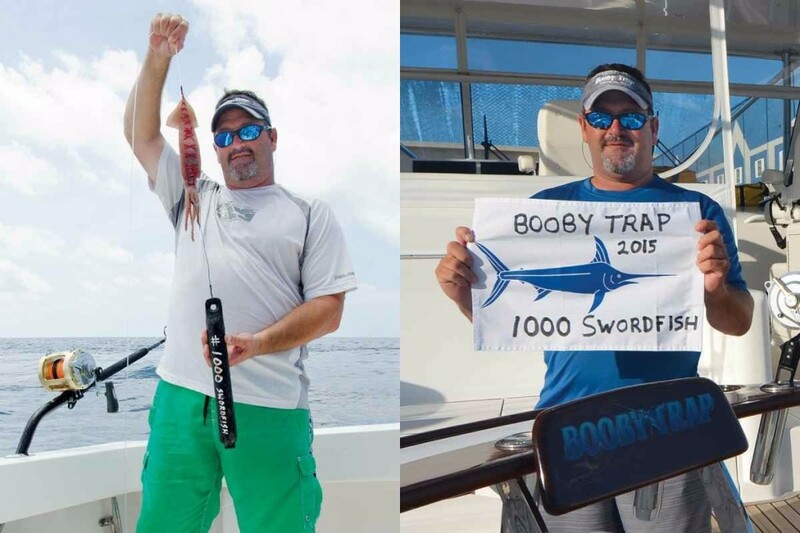 “BOOBY TRAP” in one day released 2 blues, 2 sails, 2 swords, and white. 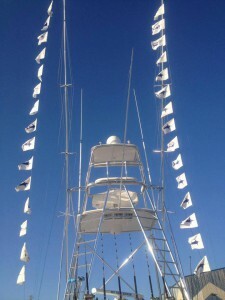 Having a “dream” day one performance the crew realized what an opportunity they had been given. 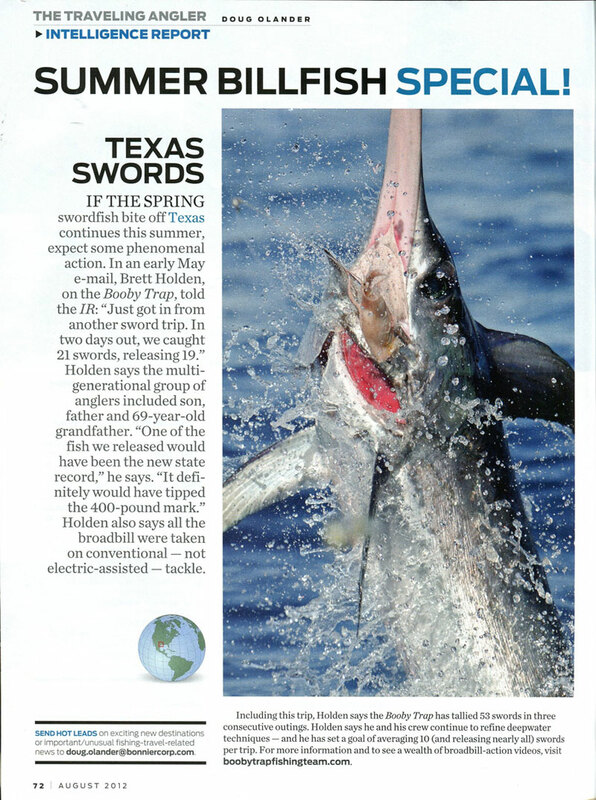 They went for and caught two swords to complete not only a double slam, this could be the only super slam ever recorded in Texas Waters during a tournament by a single angler. 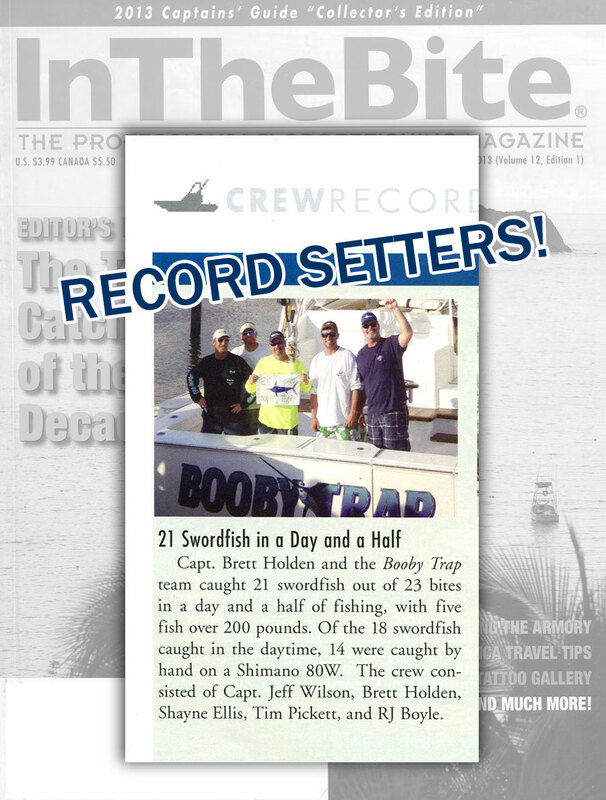 Congrats Brett Holden, Travis, and crew! 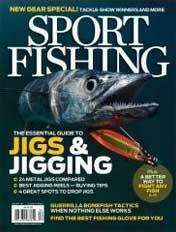 Pacific Coast Sportfishing was once called South Coast Sportfishing, which published its first issue back in 1981. 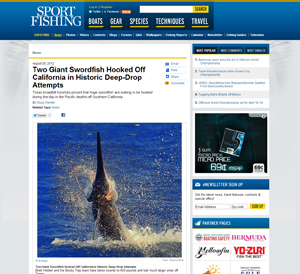 We’re strictly about West Coast saltwater angling, covering the legendary waters from Central America, north to Alaska, and west to Hawaii. 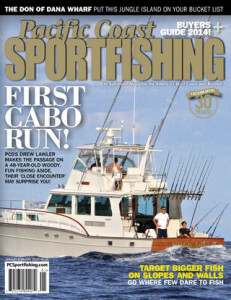 Sport Fishing Magazine celebrates 30 years of providing readers complete coverage of big-game fishing around the globe. 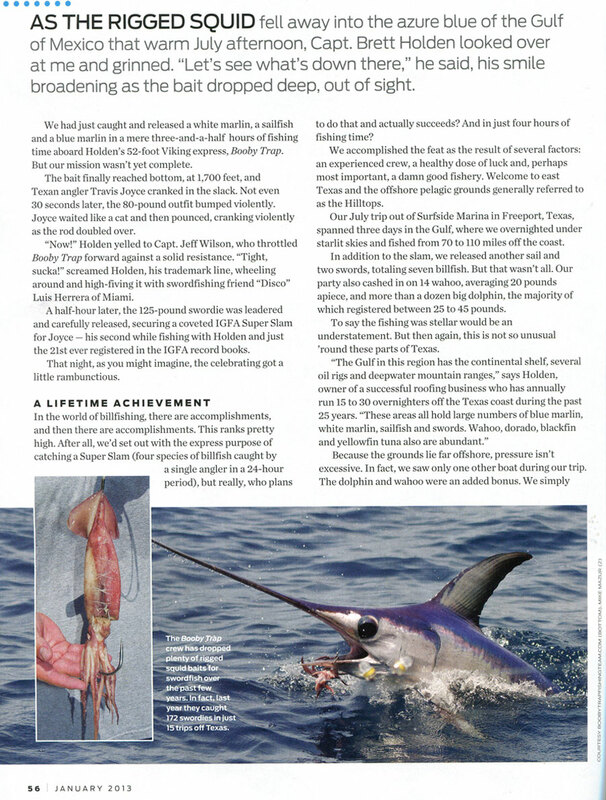 July 31, 2012 — When it comes to swordfish, I’ve had my share of good fortune as an outdoor writer over the last few years. Back in 2007, I broke the story of the daytime broadbill fishery that was pioneered by the Stanczyk family at Bud N Mary’s Marina in Islamorada, Florida. 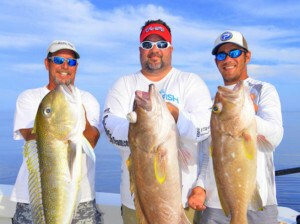 Along with my wife, the crew caught 11 swords in two days aboard the legendary Catch 22 — we snapped amazing photos and experienced nothing short of an incredible trip. 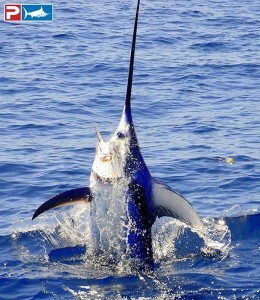 On July 25, 2012, Capt. 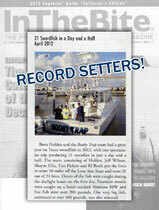 Brett Holden and his team on the 52-foot Viking Booby Trap made history yet again. 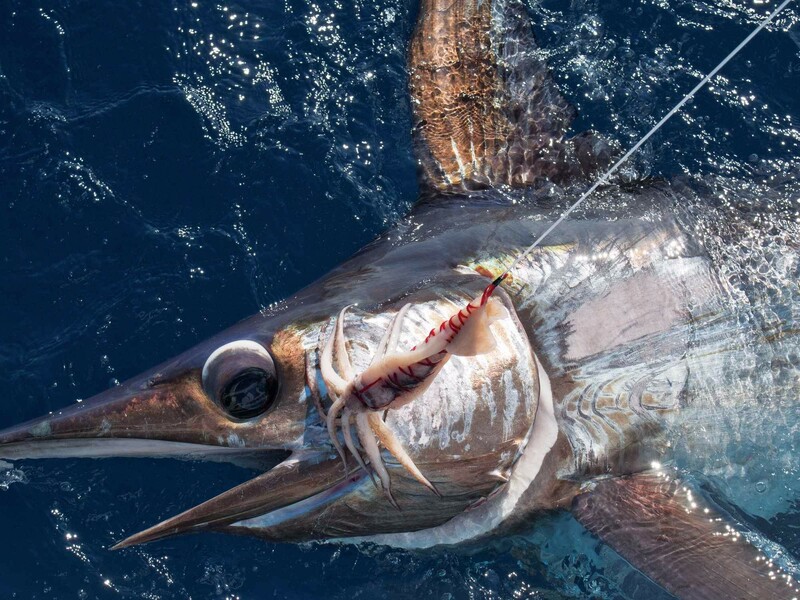 In just four hours of fishing in the Gulf of Mexico, the crew managed to catch four species of billfish to log what is known throughout the sport as a Super Slam. 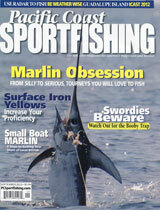 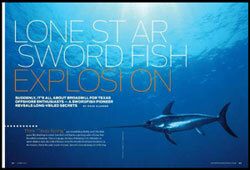 Marlin Magazine celebrates 30 years of providing readers complete coverage of big-game fishing around the globe. 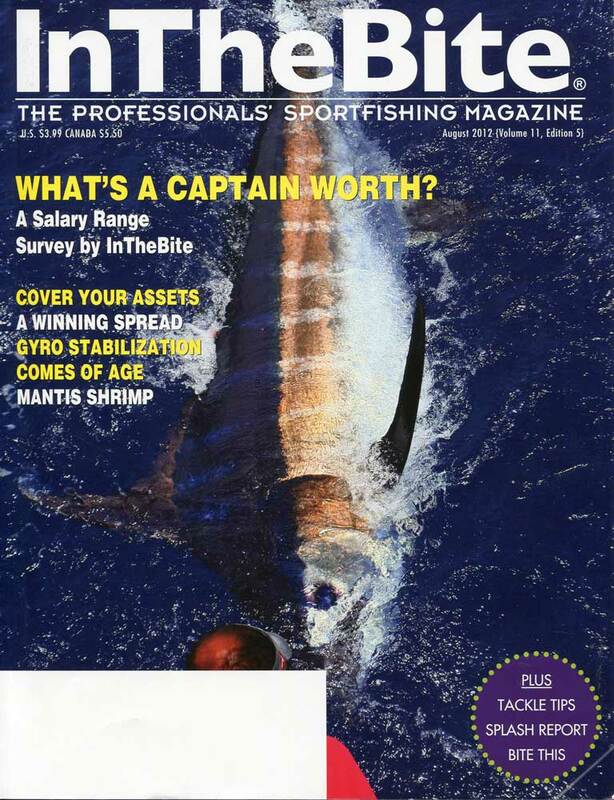 In the Byte Magazine offer what nobody else does — a readership made up of the most knowledgeable and well informed big game sportfishing enthusiasts in the world. 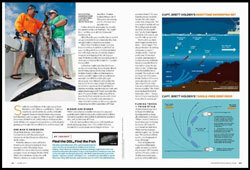 In the Byte Magazine does not claim to be a magazine for everyone. In the Byte Magazine editorial relates to the avid fisherman, not the arm chair fisherman dreaming of catching one billfish. 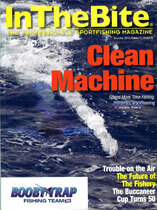 In the Dec 2011 Issue, Booby Trap Fishing Team featured on Page 12. 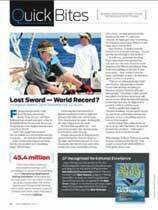 – Quick Bites / Lost Sword-World Record? 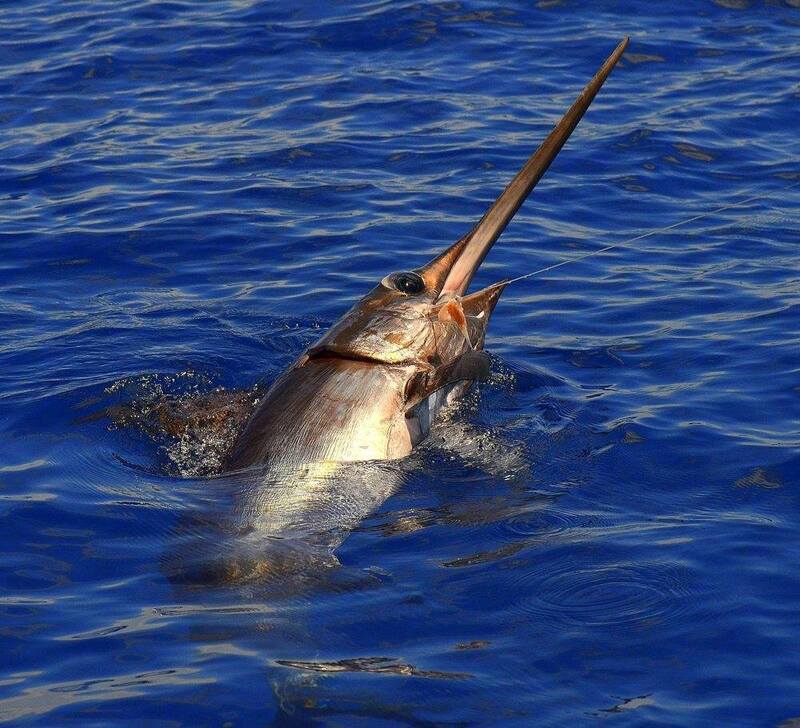 Press Release — The Houston Big Game Fishing Club hosted the 5th Annual Houston Invitational Billfish Tournament on June 25th to June 27th. 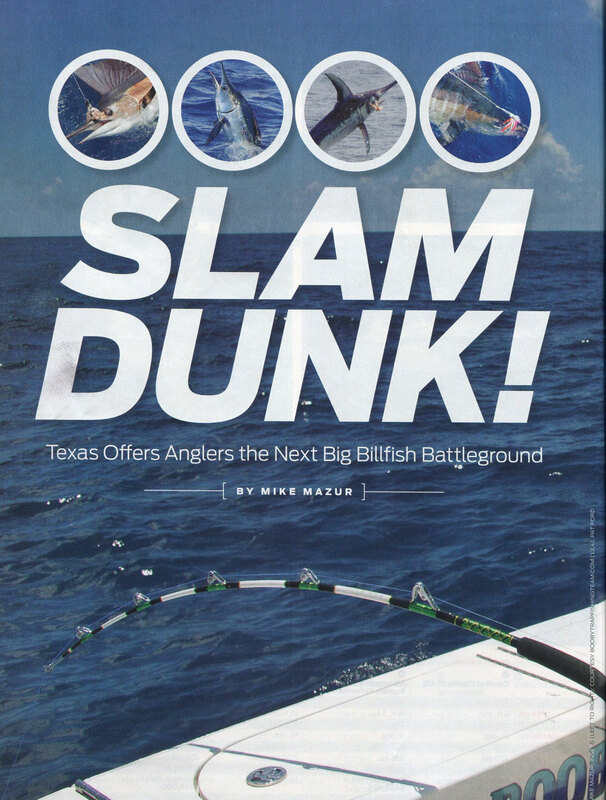 Ideal weather conditions greeted the fleet of sport fishing boats as they departed Galveston, Freeport and Port O’Connor, Texas for the blue waters of the Gulf of Mexico.